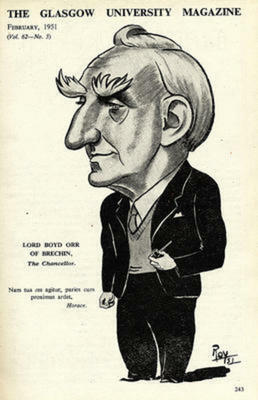 John Boyd Orr, Baron Boyd Orr of Brechin, qualified in teaching, medicine and physiological chemistry before being appointed to head the animal Nutrition Institute, later the Rowett Research Institute, Aberdeen. 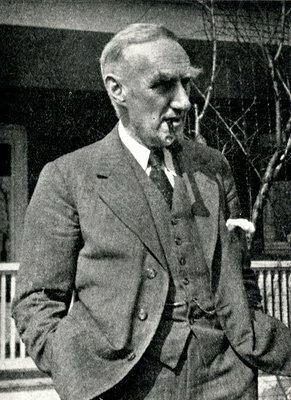 Through the 1920s, his own research was devoted mainly to animal nutrition but his focus changed to human nutrition both as a researcher, undertaking large-scale surveys, and an active lobbyist and propagandist for improving people's diets. In 1927, he proved the value of milk being supplied to school children, which led to free school milk provision in the UK. His 1936 report Food, Health and Income showed that at least one third of the UK population were so poor that they could not afford to buy sufficient food to provide a healthy diet. "We must conquer hunger and want, because hunger and want in the midst of plenty are a fatal flaw and a blot on our civilization. They are one of the fundamental causes of war." 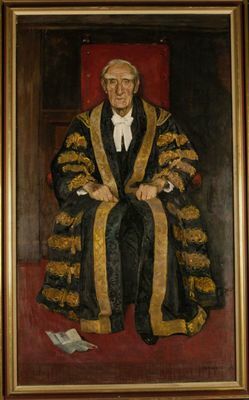 During the Second World War, he was a member of Churchill's Scientific Committee on Food Policy and helped to formulate food rationing. Post war he accepted the post of director-general of the Food and Agriculture Organization of the United Nations. He set up an International Emergency Food Council, with thirty-four member nations, to meet the post-war food crisis but his proposal for the establishment of a World Food Board failed in 1947. He then resigned from his post, his dream of a movement to achieve world unity and peace shattered. He was awarded the Nobel Peace Prize in 1949 for his scientific research into nutrition and his work as the first Director-General of the United Nations Food and Agriculture Organization. He donated the financial part of the Prize to the National Peace Council, the World Movement for World Federal Government, and other organizations devoted to world peace and a united world government. In 1960, he was co-founder and first president of the World Academy of Art and Science, a scientific organisation concerned about the potential misuse of scientific discoveries, most especially nuclear weapons. Boyd Orr, John. 1936. Food, Health and Income. London: Macmillan. Boyd Orr, John. 1966. As I recall: the 1880s to the 1960s,/i>. 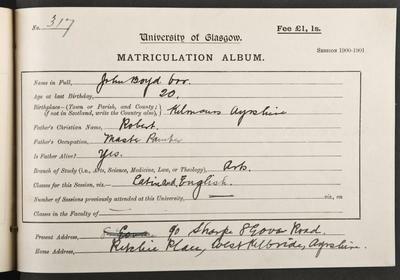 Boyd Orr, John. 1966. As I recall: the 1880s to the 1960s,/i>. London: MacGibbon & Kee. Publication of research paper demonstrating link between poverty, poor diet and ill health. World Changing Project, "Winning the Nobel Peace Prize," in University of Glasgow World Changing (University of Glasgow, 2010); http://www.worldchanging.glasgow.ac.uk/article/?id=79 (accessed April 26, 2019). World Changing Project. "Winning the Nobel Peace Prize." In University of Glasgow World Changing. University of Glasgow, 2010. http://www.worldchanging.glasgow.ac.uk/article/?id=79 (accessed April 26, 2019). World Changing Project. "Winning the Nobel Peace Prize." University of Glasgow World Changing. University of Glasgow, 2010. 26 April 2019 <http://www.worldchanging.glasgow.ac.uk/article/?id=79>.